Bathrooms in our family are sacred places. there are some members who love reading books there. For our family people we were looking for clutter-free bathrooms. also our bathroom had no drawers, no cabinets, no storage. here is how we manage to organise our bathrooms on a budget. Our move had taken a toll on our finances. we did not have the budget to have cupboards built. I was also not eager to install storage cupboards as I noticed that in an Indian bathroom it was next to impossible to keep them dry. In many houses I saw that the cupboards were literally rotten or damaged with water. Initially when we moved in I had these plastic stands in which I placed everything. 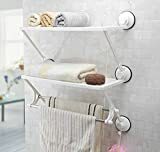 This is another option for narrow spaces in the bathroom or for small bathrooms. It is slim, can a fit a lot of stuff and is sturdy. If it gets wet there are no issues. I had come across the concept of minimalism at around this time. I had already started implementing Mari condos konmari method in my house. This happened to be the time I was recovering from my hip replacement operation. If there is one thing I am glad I did then it was to declutter. I would encourage you to declutter your bathroom before you start looking for an organiser. This will help you identify exactly what you want in the bathroom. This also means that you would need to invest minimum amount on organizers. Here are the steps I took to declutter my bathroom. Then I went ahead and decided where and how I wanted the bathroom products stored. You can use wall cabinets such as these which are very easy to install. These are very study and easy to clean as well. I personally chose a deep maroon colour as it matches my counter and does not show any dirt. You can also purchase a medicine cabinet. I had a similar cabinet in my previous rented house. This medicine cabinet has mirror, space for toothbrush and toothpaste essential makeup and shaving items. sometimes on the top of the cabinet I store my cleaners. In my present house there is a long mirror above the washbasin, hence I cannot install a medicine cabinet. If you cannot use a medicine cabinet you could use the corner cabinet like the one I have shown above. 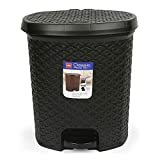 It’s very useful, it can be used to store a lot of products and it is sturdy. I prefer baskets with holes in them as they drain of the water. 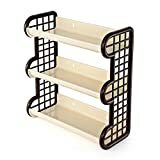 Another option would be to get stands like these over the shower head or water pipes ( if you don’t have a shower head). They are rust free and you can put shampoo, loohfa and soap in these. There are over the door units which can be used to dry towels and store products and bottles. I also like stands which go over the commode. This helps to maximize the space and store related stuff such as toilet rolls, tissue paper and magazines. While this has got nothing to do with organisation, I keep a small cleaning caddy in each bathroom. This makes bathroom cleaning very easy. Also if guests are using your bathroom, they know where to look for cleaning supplies if they need them. Always keep us small dustbin lined by a trash bag. Remember to clean out the trash once a week. Once your basic organisation is done it is time to accessorize. Minimal accessories include towels, fake plants, vaporizers, candles and deodorizers. I do not store makeup in bathroom anymore. this is because makeup needs to be kept in a dry cool place. a bathroom it’s very humid and the damp atmosphere can spoil the makeup. Also bacteria can grow on the makeup. Once I implemented the konmari method I found a new home for my makeup in my closet. 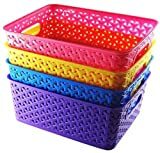 Initially I stored them in plastic baskets in the bathroom. Now I use the same basket but the makeup is in the closet. When deciding on how to organise the bathroom I personally feel that you must take stock of what you have. first Purge, then splurge ( if necessary). Organising an Indian bathroom using simple products to maximise space. Copyright © 2019 Perfect Organiser. All rights reserved.